40 by 40 part two! 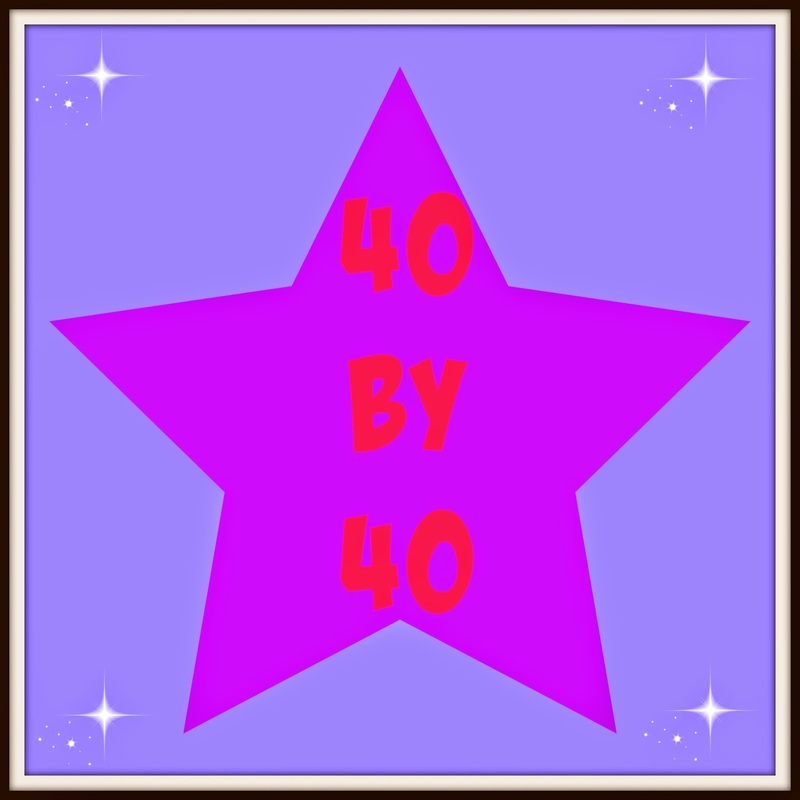 Here is part two of my 40 by 40 list which is a list of 40 things all together that I would like to achieve by the time I reach 40 years of age. If you missed part one you can have a look here. I have always wanted to visit a proper maze like you read about in mysteries. I have visited maize maze’s before but I want to visit a proper one. When we went to Disneyland Paris I was very excited to read that they had a big maze there only to discover that it was the only attraction that would not be open while we were there. 22. Family holiday back to Salou. So far my absolute favourite family holiday destination is Salou in Costa Dorado in Spain. I actually wrote a post about Salou before which you can read here if you would like to hear more about why I love it so much. Anyway, I would really love to return to Salou for another brilliant family holiday! 23. Return to the stage – amateur dramatics. I joined a local amateur dramatics group a few years ago and it went really well, except we had to get rid of our car so I could no longer attend the club any more after I had done just one play. Ever since we have got a car again I have said that I will re-join or find a new group to go to but I never seem to find the time or the nerve to actually start going again. 24. Start up my own business. This is another of my new years resolutions for this year. 25. Volunteer at a family centre or similar. 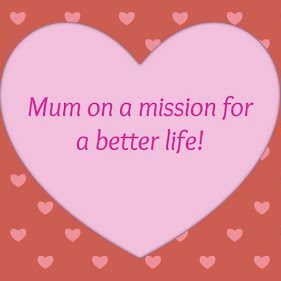 I would love to do some volunteering at a family centre or similar as I know how hard being a mum can be so I would like to offer support to other mums that are finding things tough especially at Christmas time as well. This is another of those things that I really want to do but I always end up talking myself out of actually doing anything. Being a grown up we know that there is actually no end to a rainbow but little kids do not so I would love to spend an afternoon chasing rainbows to see if we could find the pot of gold at the end! 27. To reduce my morning medication and completely come off the one which makes me gain weight. I would love to get to a place where my medications could be reduced and if I could completely come off my night time medication which makes me gain weight that would be even better and help with my weight loss goals! 28. To rank in the top 500 of blogs in tots100. I know that I should not worry too much about rankings with my blog but I do like to keep an eye on one just to see how I’m doing and that is the tots100 ranking. When I started the blog in November 2013 I ranked number 2,179. We’re now in January 2014 and I have already gone up 507 places to number 1,672. Therefore I would like to have made it into the top 500 in the tots100 rankings by the time I turn 40! 29. Go back to Hemel Hempstead. When it was my 30th birthday my hubby took me away for a weekend of shopping to Hemel Hempstead and it was the first time that we had ever visited Hemel. I do not know what it was about the place, but I completely fell in love with the place and I would love to go back but I haven’t managed to yet. 30. Try visiting a spiritualist church. I do not want to get into any arguments regarding Faith on here which is why I was quite hesitant as to if I should put this on here but personally I do not follow any religion although I have always wanted to visit a spiritualist church to see what goes on. 31. Go on a luxury romantic weekend away. I have always wanted to visit one of those really posh hotels where you have a hot tub or spa bath built into your room. I have looked up a few and found some that are not cheap but not as bad as I had thought so I would love to visit one for a romantic weekend away. This would be fantastic! If we could get ourselves to a place where we owe nothing apart from a possible mortgage I would be over the moon. 33. Get a new sofa. Like the dishwasher earlier, we have never been able to buy a brand new sofa or three piece. I do not mean to sound ungrateful as we have been helped a lot in the past but for once I would like one that I have chosen myself rather then what I have been given. 34. Apply to be on a game show – preferably catch phrase. I always say that I’ll apply to go on a game show when it’s on telly but when it comes to it I never do! I have always wanted to go on Catch phrase ever since I was a kid, so with that now making a comeback I really should apply. 35. Make a friend or two. I know I sound sad but I do not have any friends. I have shut myself away and pushed everyone away and I have also been really hurt by so-called friends in the past that I had completely given up on ever having any friends. That was fine when I was busy with the kids but now that I have two teens that have their own life’s and just one little one who is nearly 6 and at school every day life has been getting a bit lonely so some how I would like to make a few friends. 36. Get a mortgage for a home of our own. When we were very young we had a mortgage for a home of our own and we didn’t appreciate or realise how important it was and how lucky we were. A long story, but basically we lost the house and have never been able to get a mortgage for a home of our own since. Ever since the zumba craze first came out in the UK I have always wanted to try it but I am the queen of excuses and I always manage to talk myself out of going. 38. To take my family to ‘Camp Bestival’. This is a really cool camping festival that is for families and looks fantastic. It is way out of my price range but if things change financially I would love to go with hubby and all three kids. 39. To visit the winter wonderland at Hyde park in London. Every year for the last five years I have said that I will take the kids into London to visit the Christmas fair and see the lights and what not. Every year I never get around to it! 40. To have written at least one e-book. I have been wanting to write a book for so long but I was often put off by the fact that I could spend all that time working on a book but if no one would publish it then it would of been a waste of time. Now that you can self publish e-books for free I really should have a go at writing at least one e-book before I turn 40. So there you have it, my list of 40 things to do before I turn 40. Wish me luck and follow my journey of trying to achieve these goals.